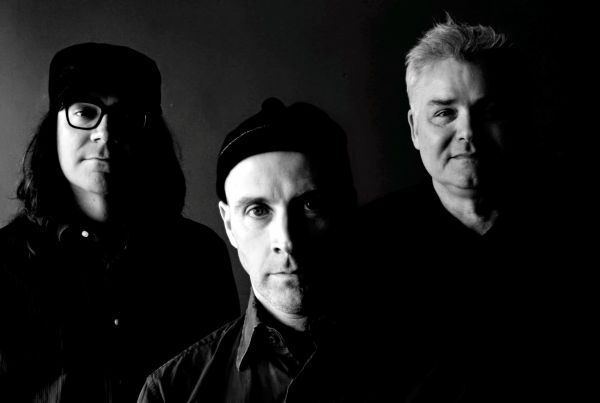 The Messthetics are an instrumental band from Washington DC, featuring Anthony Pirog on guitar, and Fugazi’s Joe Lally and Brendan Canty on bass and drums respectively. 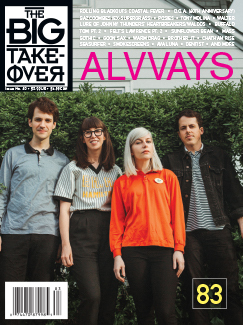 Since forming in 2017 they’ve recorded and released a record on Dischord Records and have played extensively east of the Mississippi and in Japan. It was on one of their many visits to the great state of Ohio that they stopped by Mike Montgomery’s (Ampline, R.Ring) Candyland Studio in Cincinnati to record their current live set to tape as a SofaBurn Records session. The song “Mythomania” is the first track on their eponymous LP, and the first number they played that day in Montgomery’s studio. The Big Takeover is truly psyched to host the premiere of this vivid, dynamic, and complex cut. An ominous bass line undertow and emphatic drum strikes are set alight by the burning grind and wind of bright, and at times, sawing, guitar lines. Ear-piercing, high-pitched guitar notes lead “Mythomania” into a brief period of discord before the guitars and drums are amped up for a stark and staccato ending. The Messthetics will be playing extensively in Europe and the US this spring, including a couple shows in March in the mighty Ohio. All tour dates can be found at Dischord Records, just below the Jawbox dates.